Rescue Story: I was rescued with siblings from a residential feral colony. Cats: Yes! I would do best with a kitty friend! Hello! My name is Gladys. I was born into a feral cat colony, and lived on the streets of Edmonton for the first months of my life. Luckily, the Paws In Need family helped to rescue me. 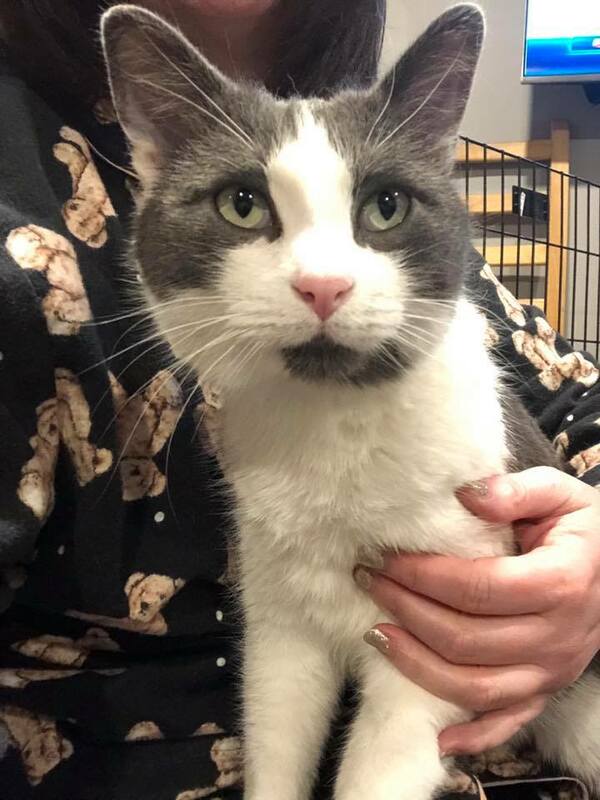 I am an older kitten who needs an understanding home. Growing up on the streets is hard! People are still scary to me and I need time to learn to trust you. I do like other cats and would feel most comfortable with a kitty friend to live with that can show me the ropes. I have become best friends with one of the resident cats, we like to cuddle and play together. My favourite toy is a tickler with a ball on the end, and I like my food! Feeding time is a good time to earn my trust. I would need a safe space where I can adjust to living with a family, if you think you can provide this space for me, apply today! Rescue Story: I was surrendered from a hoarding situation. Cats: Yes, I would do best with a kitty friend. 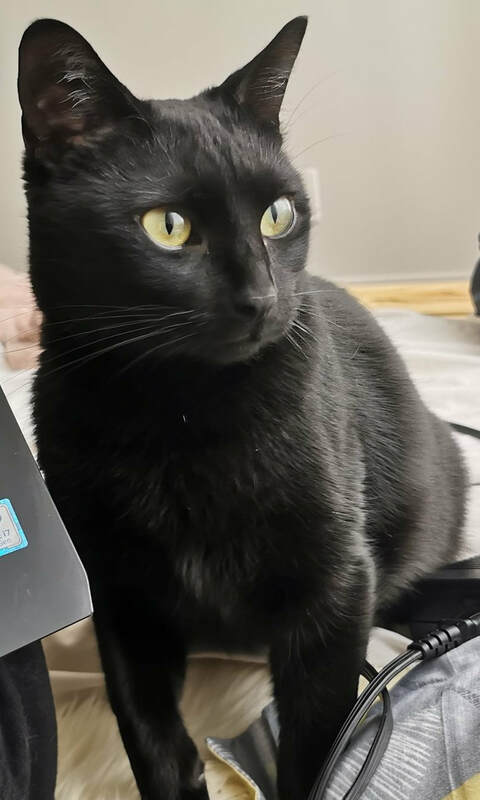 Hello my name is Pooka, I am 1 year old. However when you look at me you wont believe it. I am a very small cat. Because I am small I am also very timid around people. I was a considered feral when they brought me into the rescue but my foster mom has been trying to build up my confidence. I've been with my foster family for 2 months now. I love my furry foster brothers. I hang around with them alll the time. I am still really shy when it comes to humans. I really don't like getting touched. I come to the kitchen with my foster brothers when it is time to eat and I will stay and eat as long as no one walks by me. Otherwise I hide until I know they are not close and sneak back to a my bowl. I love to play with my furry foster brothers and am most relaxed when I am around them. I love to sit and look out the window or screen door. I loves sleeping on the cat condo, and I use the scratching posts around the house. I like my litter box to be quite deep because I like to dig deep holes to hide my waste. My furry foster brothers like to cuddle to the humans I will sit in the room with them and if I am really sleepy I will let you tickle the side of my head or Pet me. I will even sleep near your feet by the chair if you just ignore me. If you have a cat that wants a companion and you have a lot of patience for me. I am your girl. If you think you have the patience to let me learn to trust you and if you have a cat… then I am the girl for you! Rescue Story: I was born in a garage from a feral mom in a cat colony. Hi my name is Jupiter! I was found all alone with my sister Ivy and our siblings in a garage. I'm still getting use to cuddles and pets. I like to hiss at you first so you remember I'm small but then I start to purr with scratches. I'm a real go getter, I will play and run and chase my foster brother around the house, then have a long nap. I'm still very cautious but very curious. 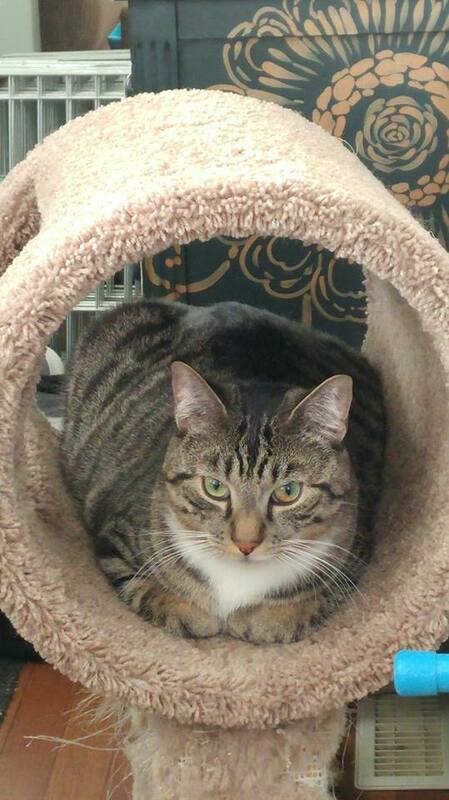 My foster mom says I'm very handsome, I am a Tabby with black stripes. I would love a cat companion but I'm still young enough that I can adapt to anything. Hi my name is Ivy! I was found in a garage with my brother Jupiter and our siblings. I'm still getting use to cuddles and pets, I like to hiss at you first so you remember I'm small but then I start to purr with scratches. I'm very active and love to chase my foster brothers around the house. I love playing with all cat toys and especially love the wands with toys on the end. My foster mom says I'm very pretty, I have a black coat with brown splotches but it's hard to see in pictures, I tend to blend in. I would love to have a cat companion but I'm still young enough that I can adapt to anything. Hello I'm Julianne! I was rescued with my siblings from an alley. I am a sweet friendly girl that needs some time to warm up as I am very shy. I'm very interested in my surroundings and I love to play and explore. I'm eating well and using the litter faithfully. I live with a bunch of other cats and 2 dogs. I am still getting used to the dogs, but my foster mommy says I'm still young and its only a matter of time and we will all be friends! Hello I'm Melman! I am the sweetest little fellow. A classic ginger, I am cuddly and gentle with just a wee bit of mischief. I would do best in a quiet household, as I get anxious with loud noises. I would be a wonderful companion to a kind, resident cat, or would happily go into a home with another of my siblings. Rescue Story: I was found in a feral cat colony as a kitten. My name is JJ (Jenny Jr). I’m named after my mama. She was stray who got rescued... and so did I! I love to play and run and explore with my protective big brother. 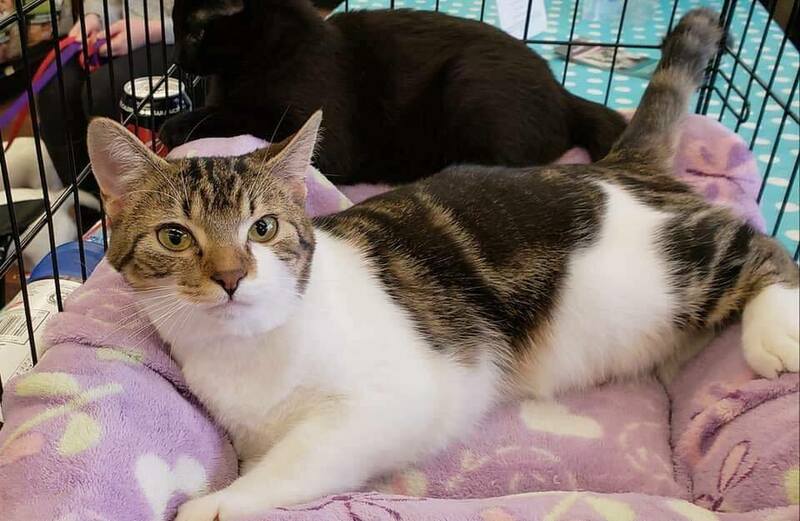 I’m still quite nervous about being touched but when I’m sleepy and you start petting me I forget that I’m scared and purrr like crazy:) I would love a furever home with my brother if possible. I was rescued with my stray mama and siblings. 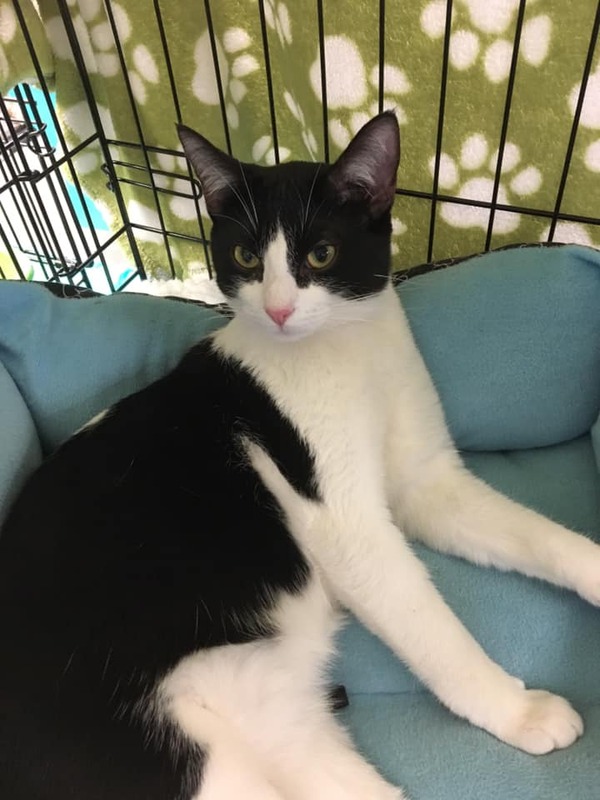 I am a sweet, gentle boy who loves belly rubs, head rubs and occupying lap space. I love my sister JJ too and would like to stay with her if possible. Rescue story: I was abandoned at the pound. Good with cats: Yes! I would love a kitty friend to play with! Good with dogs: Unknown, likely yes. Good with children: Gentle ones, yes! Hi, I’m Elroy! I’m a bit of a conundrum because I’m really afraid to be picked up but I love pets! If you reach out for me, I might scoot away because I’m still learning that hands don’t always mean grabbing. I’m not so afraid of being picked up when you’re sitting on the couch or when you’re in bed, so look out! I’m coming for pets and snuggles. Sometimes I’ll flop right down on you and give you kisses and nose boops while purring really loud! I’m a talker too – I have to share with you the stories and songs of my people, and at mealtimes I have to tell you how excited I am! I’ll play with almost anything. I really like the Cat Dancer, and springs, and wand toys! And I like to play fetch! If you throw my stuffy, I’ll keep bringing it back! I love to play fetch so much, sometimes I’ll even bring it to you in bed! I haven’t met any dogs yet so we don’t know how I’ll react to them. I think I would be okay with kids as long as they are gentle with me and they remember that those reaching hands can scare me… and I LOVE cats! After we get to know each other, of course. I try to play with all the kitties in my foster home. I’d love to have a kitty friend to play and snuggle with. Would you like to make me part of your family? Rescue Story: I was surrendered by my owners who could no longer care for me. Hello! I'm Yogi, a super sweet but shy 2 year old guy looking for my forever family! It took me a little while to get comfortable in my foster home, but I've made some pretty great friends here. I love to play with other kitties, I even try stealing snuggles from the dogs sometimes. I’m also obsessed with these humans, I chase them around whenever I want something and give some pretty loud meows for attention. Belly scratches might just be my favourite, I’ll roll over for some of those anytime! I am litter trained, and I'm a pretty playful guy! Toys are so much fun!! My foster mom says I'm a pretty good boy, and that I'm 10/10 when it comes to being adorable! Oh yeah, I should also mention that I have no tail! It doesn't slow me down though, who needs a tail anyways? Could I be the newest addition to your family and home!? Rescue Story: Brought into care with my Mom Catniss and my siblings. Hi I’m Peeta and I’m very curious guy, I need to know what everyone is doing at all times. I’m starting to be a chatter box, I like to meow whenever I need anything. I haven’t found my purr yet, but I know I will someday. I love to play chase, jump and roll around. I am a very active boy, then I find a spot near my human to have a nap. I love to be hang around my Foster Mom and am very curious of the big cats that live there. I’m a happy, rambunctious and playful kitten. I would love a companion so that I have someone that I can play with. Apply for me today! Hi I’m Primrose but I’m usually just called Prim. I will try to climb up my Foster Mom’s legs so she knows I’m there. I am very curious and love to play. I’m learning to sneak up on my brothers and sister and attack! I’m a little more timid than my brothers but that won’t stop me from joining in a good play fight. I am a very active girl, then I find a spot near my human to have a nap. Rescue Story: Brought into care with my 4 week old kittens. Hi I'm Catniss! My kittens and I were a “Free to a good home” family giveaway on a local Buy and Sell site. We were so lucky to be noticed by Paws In Need Animal Rescue. We were all pretty sick, when we came into care, but we are all better now. I have a cyst in one of my ears that will be removed when I get neutered from an ear infection that was never looked after. My Foster Mom says that I am a real sweetheart who is learning to trust really fast. I even adopted an orphaned kitten that needed my love. I’m learning how to play, I didn’t know what that was before I got here, but I’m a quick learner. I really like the laser pointer and the toys on strings. I can be very shy but when I get to know you, I will come and meow for pets and scratches. I am looking for my own family that I can love and cuddle with. If you’re looking for a gentle sweetheart, I’m your girl! Apply for me today! Rescue Story: I was found in a rural area on my own. Hello, I’m Sylvester! I came in to care just over a week ago and I’ve already settled into my foster home! I’m a pretty easy going guy, and I’m curious about all these new things around me. My foster mom thinks my purr must be powered by a motor because it is sooo loud, I just like to let everybody know when I’m happy is all! I live with other animals, I get along fine with the dogs but I don’t think the other cat here likes me yet, but I’ll get there! It’s okay though, because I looove cuddling with the humans and getting pets. I’m also a superstar when it comes to using the scratching post! Do I sound like I could be your newest family member!? If so apply today!! I’m so excited to find my very own family. Dogs: I would do ok with quiet and calm dogs who respect my space. Hello I am Miss Boogie! I am a senior gal who is looking for my retirement home. I am a shy and scaredy girl who needs a quiet home to retire in. I live with other animals but I would prefer to be the only animal or have a home with other calm kitties. If you have a quiet home for me to retire in please apply today. Hello I'm Harper! I come from a family of very affectionate kitties. I love to cuddle up close to your face and give you kisses and sometimes groom your hair. I also like to sleep with my human, even under the covers sometimes! My fur is super soft and pretty and I have a quiet, squeaky little voice that I only use when I really want your attention. I get along with everyone and I’m very well behaved, I never have accidents or scratch the furniture. 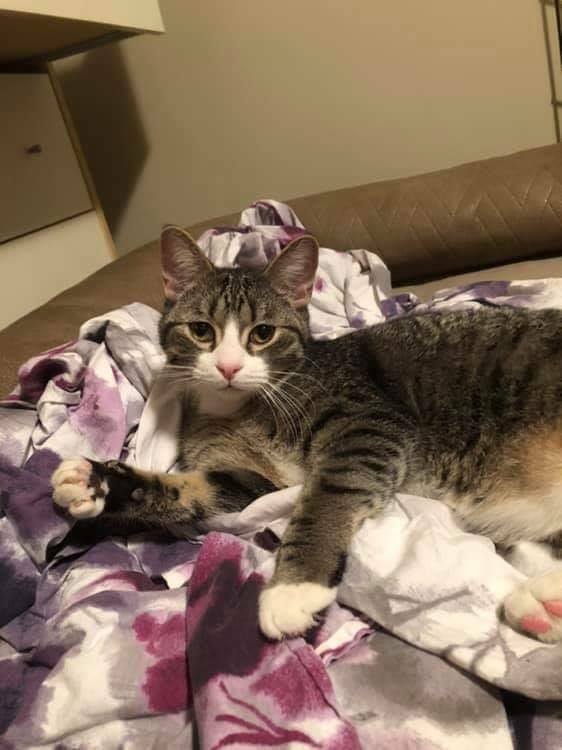 I love to play with my foster kitty friends but I also play by myself or with my foster mom – I’m pretty easy going, and I love attention! I used to have an issue with my bum staying all the way tucked in but it seems to be all better now. Would you like to make me part of your family? Hi my name is Meera. I was rescued from an alley where I lived with my 2 sisters and some other kittens. My foster mom took us in and gave us a warm place to sleep and a full belly. We were exposed to distemper and our foster mom took extra good care of us making sure we are here now to find our furever homes. 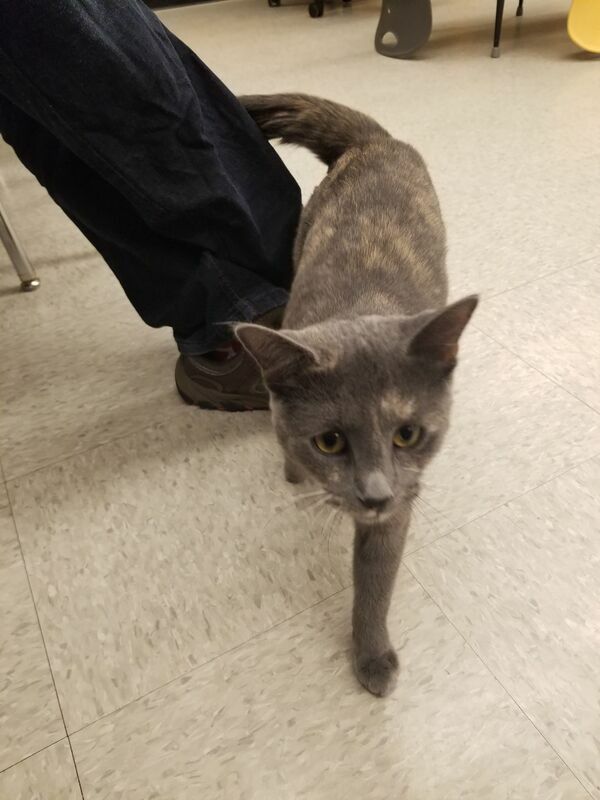 I am the shy girl out of my litter but with a little patience I will get used to you and could be quite sweet and cuddly. I always use my litter and I love food. I will need someone who will spend a lot of time snuggling me and showing me what it's like to be loved. Hi I’m known as Steve, Stevo and even Stevie! My foster mum says I’m a gentle soul that can figure out how to fit in with anyone. I’m super easy going and like everyone. My foster sister is not my biggest fan. She likes to show me who’s boss but I’m really good at walking away so that she can’t bat at me. My younger foster brother and I love to play and chase each other all over the house. There are so many toys to play with and I try to get to everyone of them in a day. My favorites are the noisy toy mice, I love tossing them in the air and pouncing on them. Foster mum says it’s as if I’ve never seen toys because I love them so much. Not much else to say about me...oh except, I love to cuddle and you won’t even notice me quietly sneak onto your lap or beside your head when your sleeping. I don’t want to disturb you, just snuggle with you. Hi my name is Meow Meow because that is the sound I make when I want to tell you something.. I am a shy guy when you first meet me, but pet me for a few seconds and I will purr. Once I feel comfortable around you I become very playful. I enjoy sitting at your feet, cuddling up in your lap and being around you. I like to get all my kitten energy out by playing with toys.. I walk very well on a harness and leash, as long as you let me lead. I am not a Fluffy as my brother Louie But I am still very Handsome. My foster Mom says I would be a great addition to any family. Hello! My name is paint! This is due to my cute coat color. I am a very affectionate girl who loves pets. I will greet you at the door and talk to you as you take off your coat and shoes. I will follow you until you sit down or pick me and give you kisses and purrs. I like to lay on my foster mom's chest and give more kisses as she tries to watch tv. I am slowly warming up to my foster kitty sister Ember, but I like hogging all the attention. I am up to date on all my shots and I overheard mom saying something about getting spayed soon. Rescue Story: Brought into care with my 4 siblings. Hello I am Andy! 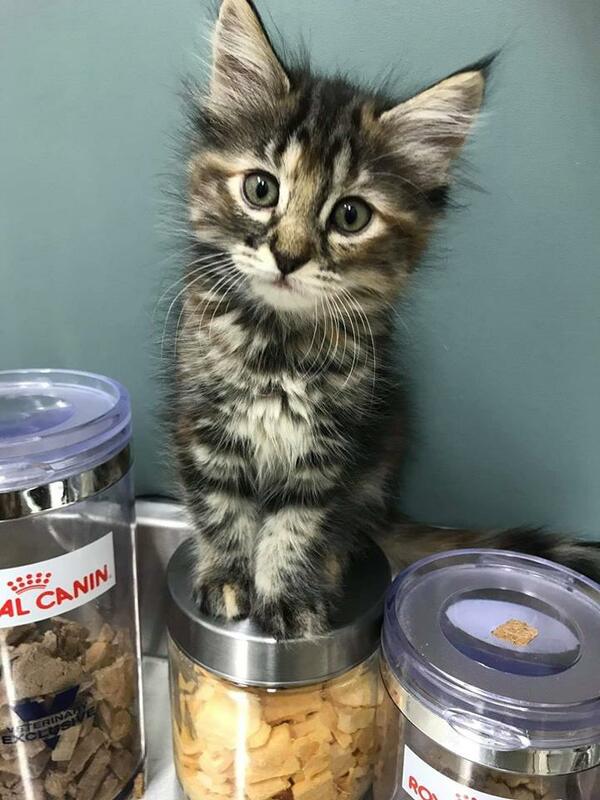 All my siblings have been adopted already and I am still looking for my furever home. I love to be around my people but on my own terms as I am not a huge fan of being held. I am a pretty quiet guy in general. My favorite bed spot is on the hardwood floor anywhere that I choose to flop down on it. My foster mom says I am more like a dog than a cat. I love to wake up at 4:30 am every day! I'm a man who likes a schedule! I am very playful and love cat toys! I also LOVE kids! I'm volunteering with neighborhood watch as I love to check out the window and watch the world go by! I also like to cause a bit of mischief but nothing serious! I also LOVE dogs!!! Hello I am Mojo! 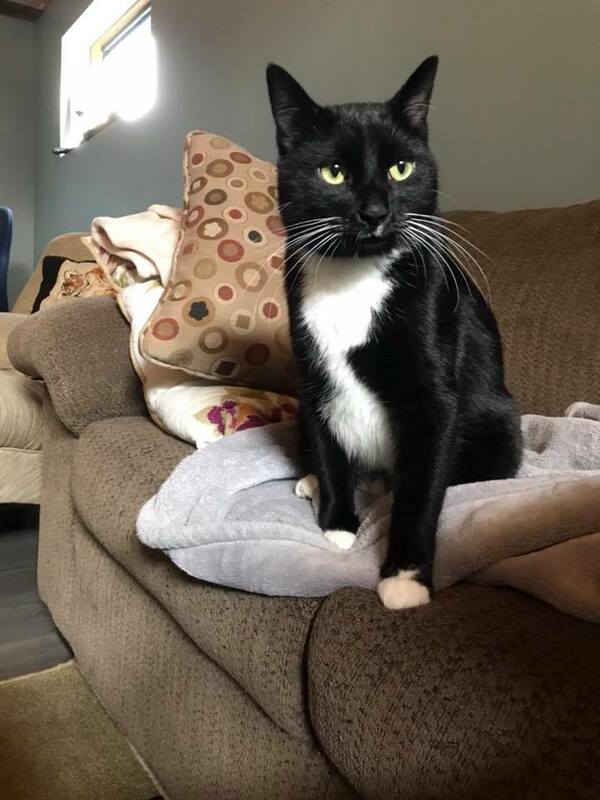 I am a handsome kitty looking for my furever home! I have some adorable markings that kind of look like a little mustache! My foster mom says that I am a very good boy and anyone would be lucky to have me! I am a playful guy who likes to get into things but I'm a boy, so what did you expect? lol I am very social and loves pets and have a purr that is oh-so cute. I am more outgoing than my brother an have no fear! I love sun bathing and window watching, the neighborhood has never been more safe thanks to meow patrol! I am pretty active at night too as I am just a kitten and learning about life and routines! If I sound the like purrrrrfect man for your life apply today! Hello I'm Poppy! 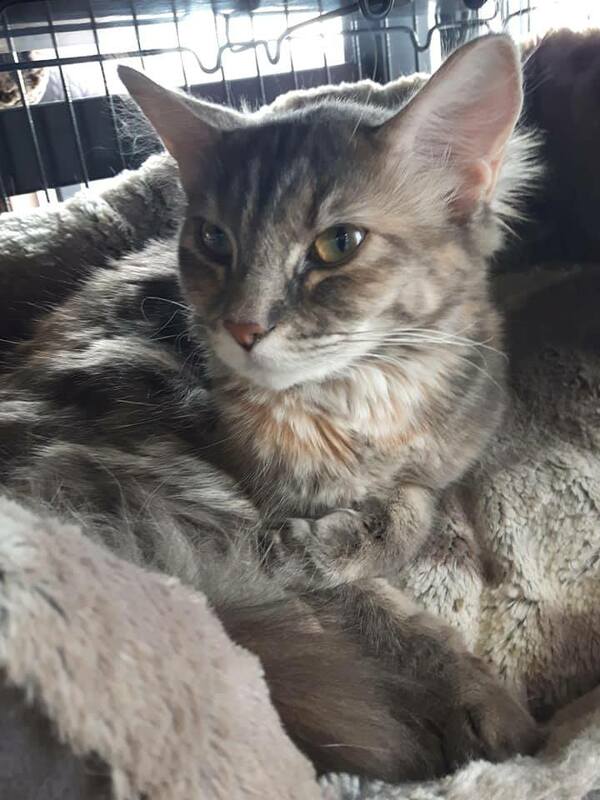 I'm a silky-soft medium-haired tortie with beautiful markings and a great mom! Most of the time I am a mellow, easy-going girl who loves my catnip toys! Not much ruffles my feathers. I was quite tolerant when my babies thought attacking my tail was the most fun game ever (and played it often)! 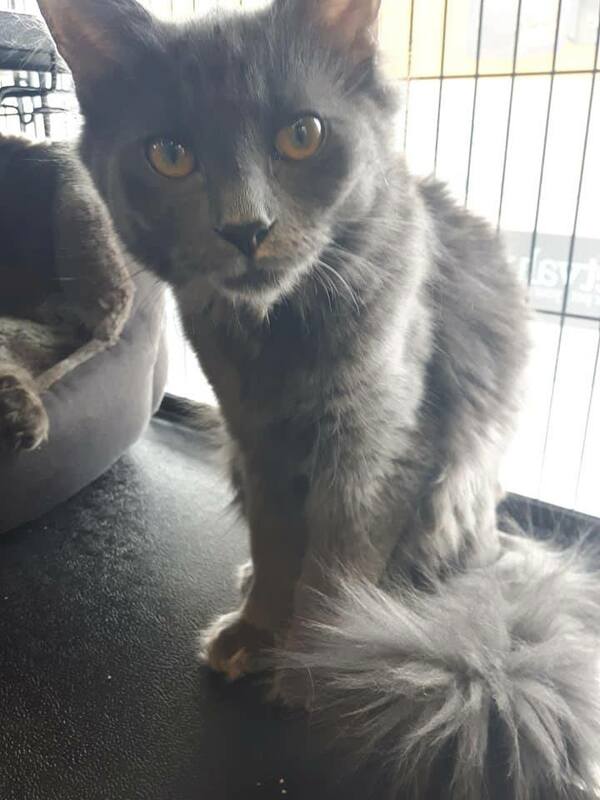 I am friendly and affectionate, I enjoy being petted, and don't mind being picked up, and sometimes like to tell you stories. I adore a soft blanket for nap time - the softer the blanket, the more biscuits I make. I did a wonderful job raising my four beautiful babies with never-ending patience and now that my job of mothering is complete, I am ready for a loving home of my own! 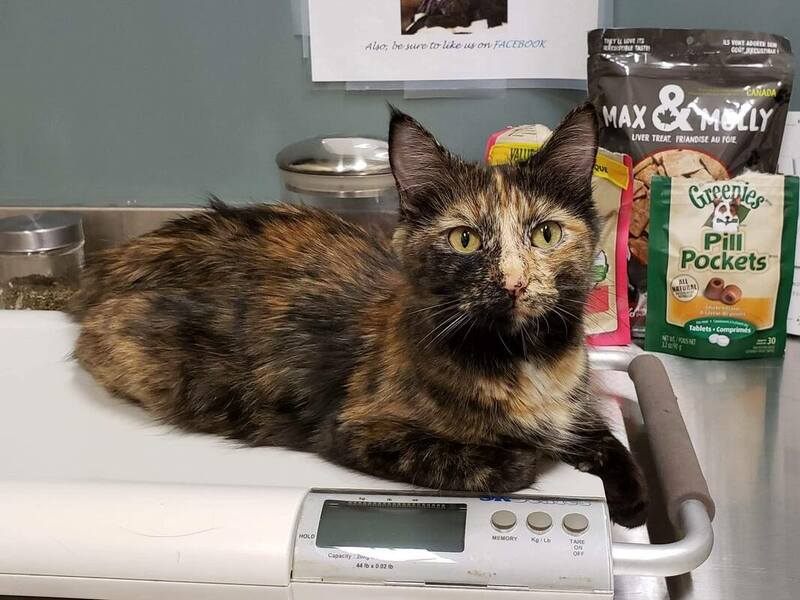 Hello my name is Wendy and I am a torbie beauty, taking after my mama with a beautiful mix of colours and the addition of a nice white eyeliner, I'm quite the looker! My fur is soft and floofy but it’s hard to tell how long it will grow, if it will be a medium or long haired coat? Longer hair will require regular brushing to keep tangles away. At first, I am a timid and cautious girl, preferring to assess a situation before jumping in. Once the coast is clear though, it’s all systems go and I will dive right into the fun, sometimes pouncing on your leg as you walk by (without using my claws). Both ends of a wand toy, springs, and crinkle balls are my favorite toys of choice, and I also enjoy the ball track. Although my brother Webster is the opposite in personality, he is my favorite friend. We often sleep cuddled up together like yin and yang. Hi my name is Jade and I am looking for my new digs. I am happy, curious boy who is also gentle and loving. I’m a little timid when I first meet you but I LOVE peeps of my own kind and acclimate really fast. I love to play chase, jump and roll around. I make friends really fast and then Zoom we are off playing. As you can tell, I am a very active boy, but lets be real all kittens are active. But then when I get tired, I find a spot near my human to have a nap. I love to be hang around my Foster Mom and am very curious of EVERYTHING she does and I am a really great helper too….at least that’s what she tells me. I’m a happy, rambunctious and playful kitten. I would love a companion so that I have someone that I can play with. Hi my name is Mac, I am part of the duo of Mac and Cheese. I lam a little more cautious then my sister Cheese, but once I get to know you Iturn into a nonstop purring machine that loves to play and be around my humans whenever I can! My favourite toy is a crinkle ball. I love scratching posts and I like to spend my time laying in the sunshine. I am Friendly with my sister Mac, but we are not bonded so I can be separated. If you are looking for a very cuddly and friendly kitten then I am your gal. Apply to Adopt me today! Hi my name is Cheese, I am part of the duo of Mac and Cheese. I love absolutely everyone I meet. 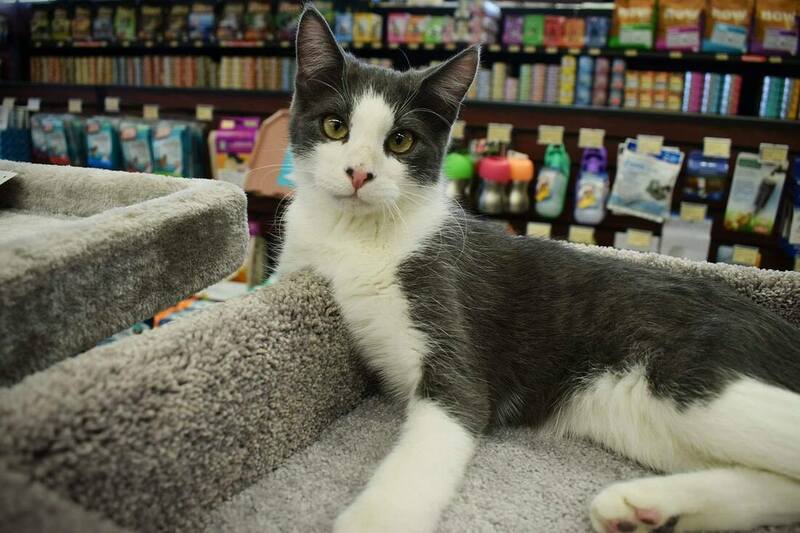 I am a nonstop purring machine that loves to play and be around my humans whenever I can! My favourite toy is anything on a wand. I love scratching posts and I like to play with water. I am Friendly with my sister Mac, but we are not bonded so I can be an only cat if you are interest. If you are looking for a very cuddly and friendly kitten then I am your gal. Apply to Adopt me today! Hello I am Ember! 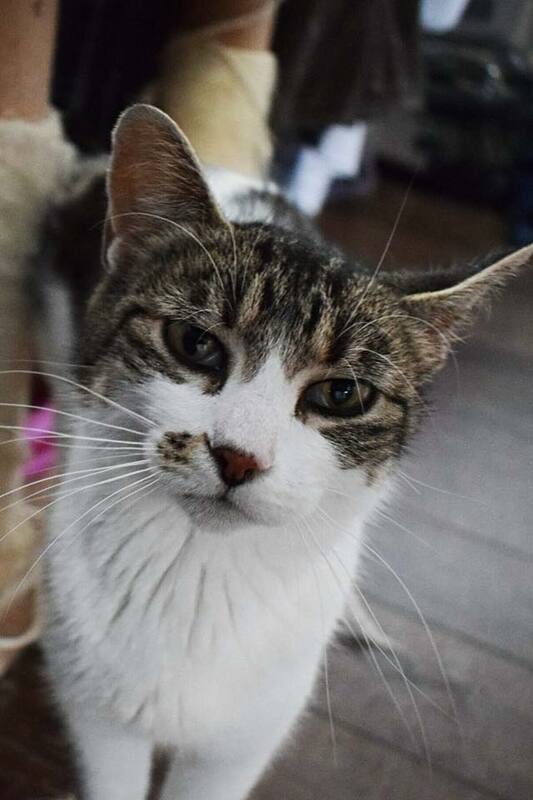 I am an affectionate lady who loves getting pets! 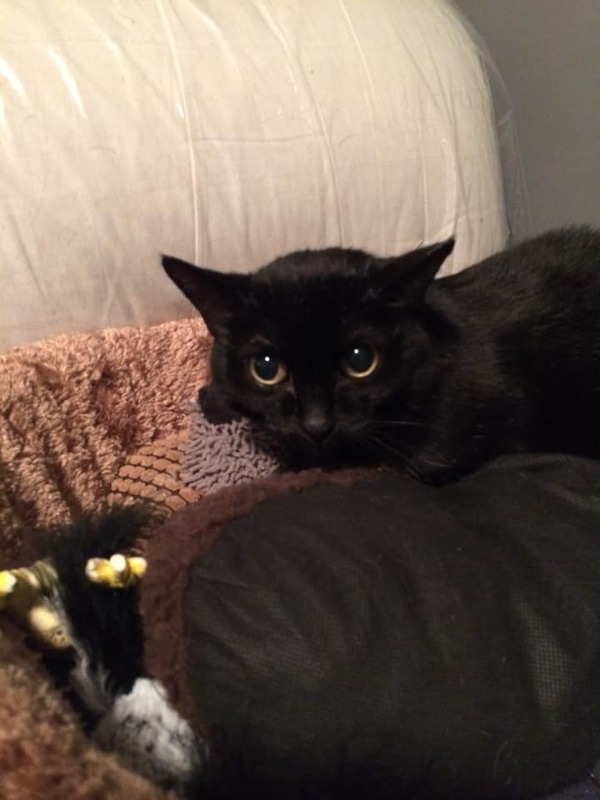 I am also a playful girl, I can play by myself or with other cats. I am shy at first but will love and purr for you after I settle down. I love sleeping with you. I love playing with pipe cleaner and chasing that darn red light! will I ever catch it!? I am also a very petite girl!